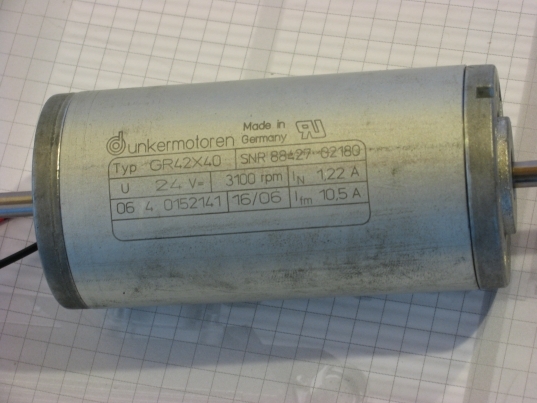 8mm Forum: The GS1200 main motor News. » 8mm Forum » 8mm Forum » The GS1200 main motor News. Author Topic: The GS1200 main motor News. 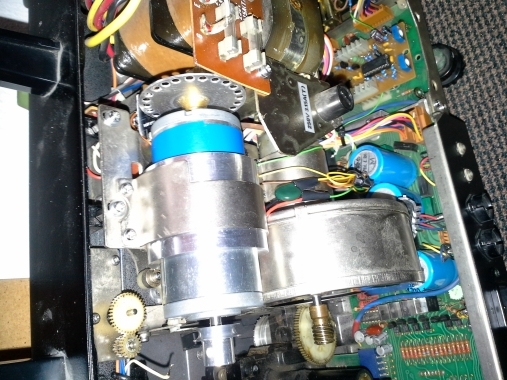 I found out that the main motor for the GS1200 Elmo projector. Is in other super 8 machines. Like the GAF models , 2000 s, 3000 s, 3100 s, and the sankyo models. There could be more? We will see! Leon Norris. Have all this Motors the Generator Coil on Board? I did not use the original Elmo Motor since many Years. Hi Thomas, the motor you are using I never seen before! How much better is it? And how did you get it. And what type of motor? Please reply! Leon Norris. This is a german DUNKER Motor wich is complete Ball bearing on both ends. It is a 24V Type called GR 42x40. Sometimes you can find it on Ebay here in Germany. But this Motor has no Generator Coil. If you have an old original GS 1200 Motor you can get the Coil of it. If you dont have ne you must try it with a hole Disc and an optical Sensor.